I have been in this role since 2002. Prior to that I worked in the Communications team for a Telecommunications organisation. I love the fact that what I do is working towards keeping everyone safe on the roads. This makes what I do feel really worthwhile. Responding to Official Information Act Requests [OIAs] – these are requests from anyone [e.g. public, journalists, Organisations etc] and can be very time consuming for us to provide all of the information requested. This takes precious time out of our resources. New advertising campaigns for drug-driving, distractions, fatigue, young drivers and vehicle safety. Our advertising campaign Ghost Chips – evidence-based, research driven, understood our audience and tested it with the target audience every step of the way! In my previous job I thought I was ‘helping’ by organising the mailing list data into what I believed was an easier format before I sent it through to the mail house. It was a key promotional piece intended for our top clients. Little did I realise I did the complete opposite of ‘helping’ – I messed the data up so that the name and address were correct, but their Organisation name was wrong! This occurred just before the job interview for my current role, and they asked me the same question as you! At least I had a current and relevant story to share in my interview!What did I learn? Obviously ‘DON’T MESS WITH THE DATA! !’ But other than that, always be upfront about the mistakes you make and attempt to fix them as quickly as possible. By doing this no one actually gets angry with you. Instead they will sympathise with you and help you make it right! My Manager felt so bad for me that she bought me flowers! Skiing with my husband and 8 yr old twins, mountain biking, hockey, gardening, painting. 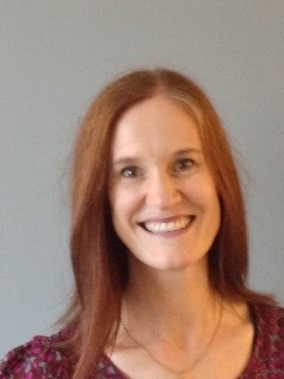 Rachel is the NZTA Principal Advisor, Network User Behaviour. Image: NZTA.